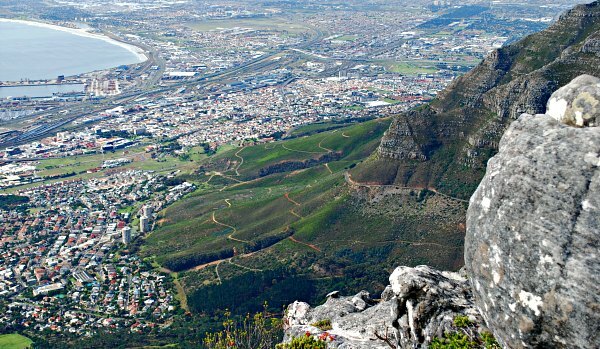 Table Mountain dominates Cape Town and you shouldn’t miss the opportunity to view the city from the top. We found it to be one of the most memorable moments of our trip, just make sure the weather is good before you set out! The mountain isn’t just a viewing area though, it’s also awash with wildlife and plants. You’ll learn a bit about the natural habitat when you walk around the footpaths. To get there, head to the cable car station half way up. There are plenty of facilities at the top including viewing areas, a cafe and toilets etc. You feel like you’re on top of the world when you’re up there and it would be easy to spend hours walking around if you wanted to. In the summer months, it’s fairly normal in the afternoon for the top of Table Mountain to be shrouded in a layer of cloud which the locals refer to as the Table Cloth. In the winter, the whole of Cape Town can be shrouded in cloud, like a thick fog! 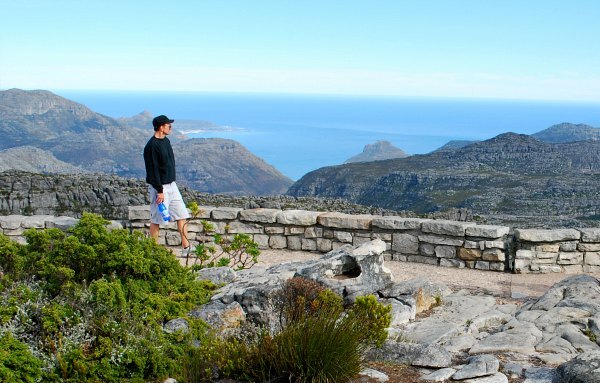 For this reason, you need to make the most of decent weather to enjoy Table Mountain. If it’s sunny and clear, that’s probably the best day to head up there and don’t risk putting it off until tomorrow. 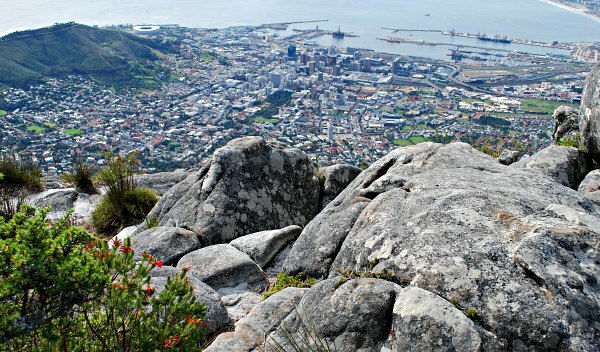 In our 5 days in Cape Town, only one was suitable weather for a good view from the mountain. The cable way closes when the weather is too poor. Hiking up the mountain is a popular pastime and although you should only attempt this if you are in good health as the route is steep, the path is fairly easy to negotiate. Hiking up the mountain takes an average of 2 hours. The route is signed and starts around 2km past the lower cable station at a special parking area for hikers. On your way look out for the Dassie – a common mammal on the mountain which looks a little like a giant Guinea Pig. 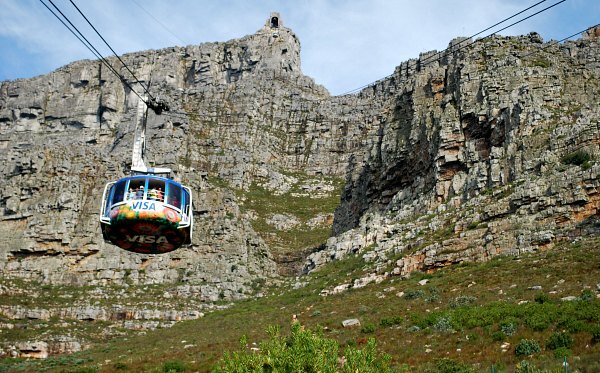 A return trip on the Table Mountain Aerial Cableway costs 215 Rand for adults although you can save 10 Rand by buying online in advance (2014 prices). The first car up leaves at 8am daily but the last car down depends on the time of year. At the height of the summer it’s 9.30pm, reducing at intervals to 6pm in the winter. The entrance to lower station is located on Tafelberg Road which climbs half way up the mountainside. Signs at the bottom of the road will tell you if the cable cars are running. This map shows the location of the station. The Cape Town Hop-on, Hop-off Bus Tour stops at the cable car station.